Applicant Must Be 18 Years Old. I live, work, attend school or worship in one of these cities, counties, or near one of these Neighborhood CU branches. I am a current or retired employee of a company or a member of an association served by Neighborhood Credit Union. I am related to someone who qualifies for membership. I live in one of the following counties and I am willing to join the American Consumer Council (at no cost to me), or I am an existing ACC member. A free, high-interest checking account with no minimum balance requirement and no monthly fees. Checking with real-time ID Theft protection and monitoring, wallet replacement services, and merchant rewards. Free Checking account where you can earn iTunes or Amazon rewards every month! This account ensures that you earn more when you save more! It offers high yields with fast access to your money when you need it. Our Fresh Start Checking account can give you a "Fresh Start", available to members who qualify. 17 Month Term with a minimum opening deposit of $1500. The Online Savings CD must be opened and funded electronically or by mail to qualify for this rate. Traditional Savings Account that earns interest with minimal qualifications. Save all year and earn a higher interest yield. We'll automatically release your funds during the first week in November. Just in time to get your holiday shopping done! Our Kids savings account for children from 0-12 years old. 1. OVERDRAFT PROTECTION - You may establish a Line of Credit Loan or use your Prize Savings Account as a source for overdraft protection in the event that your checking account experiences insufficient funds. Funds must be available to complete the transfer (a service fee will apply to share overdraft). 2. COURTESY PAY: You must either choose to OPT-IN or OPT-OUT for Courtesy Pay on all checking account(s) for ATM and one-time VISA Debit Card transactions. View the Courtesy Pay Disclosure, then make your selection by choosing the appropriate option. 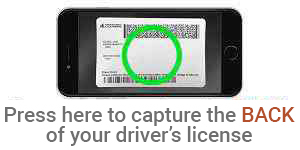 Please provide ID documents such as driver license, green card, or etc..
3. Is this a Member Referral? You must click the link to view this document before you can check the box to continue the application process. I have read and agree to Neighborhood Credit Union's Electronic Records Disclosure and Agreement. I acknowledge that all disclosures related to the account(s) being opened online will be provided to me electronically.